After a pleasant city lunch one day, I was approached by Michael Jenkins, the then CEO of LIFFE, the London International Financial Futures and Options Exchange. 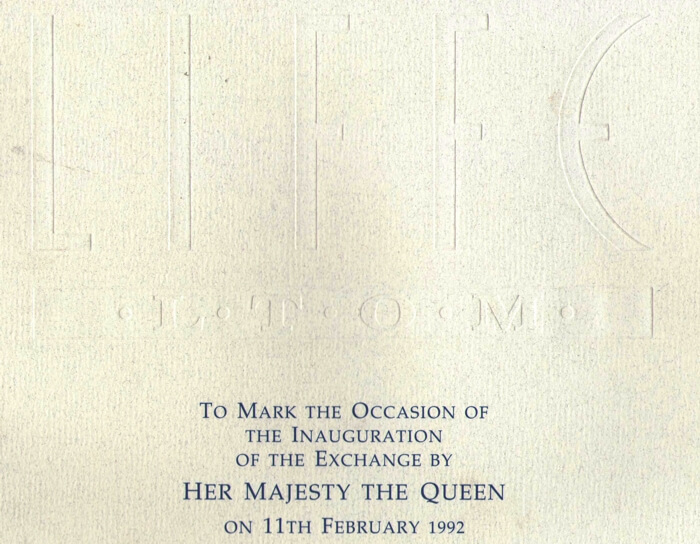 I was duly commissioned to make a bronze sculpture of an Open Outcry* trader and a large engraved slate plaque for the proposed opening of the LIFFE exchange by HM The Queen when it moved from The Stock Exchange building to Cannon Bridge. The trader was to be based on my own body and we spent a very long night taking body moulds in the sculpture studios of Alec Ryman in Marlow. When it came to taking a head cast from me, I was immersed section by section and finally my ears were closed off and then my nose and finally, with a single straw to breathe through, my mouth was covered. Inside my plaster coffin, as the heat built up with the exothermic reaction of the setting material, I began to feel extremely claustrophobic. I banged on the floor with my hand and suddenly the cast was broken away and I could once again see and hear and most important of all, breathe! It was not at all a nice experience and I wouldn’t recommend it to anyone. Finally, the bronze sculpture was produced and patinated in the Burleighfield foundry and installed by craning it up through second floor windows at Cannon Bridge. 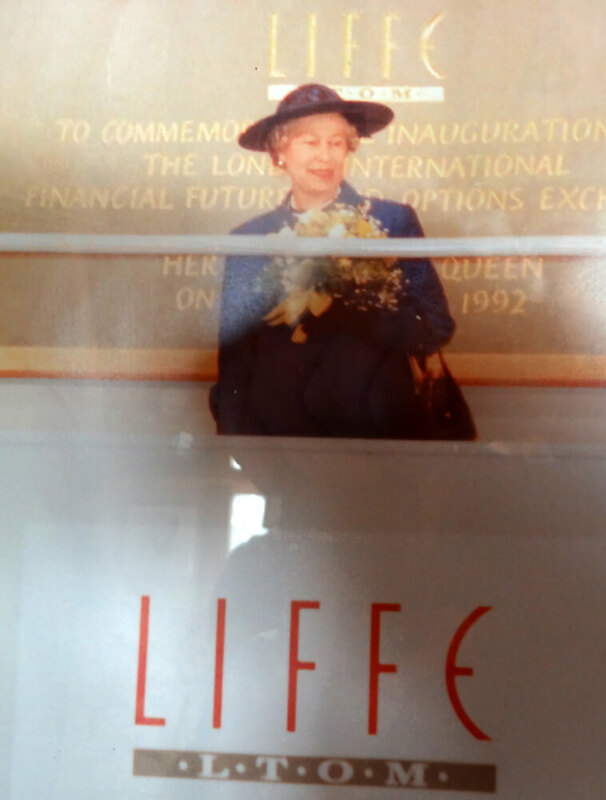 The day for the opening arrived in 1992 and HM The Queen duly arrived and, on a raised dais high above the trading floor, she unveiled our plaque, the LIFFE exchange was open and in its own home. Not long after we produced another large bronze sculpture, ‘The Trading Globe’, which was a gift from The Stock Exchange to LIFFE to enhance the ground floor entrance of their new home. It was unveiled on Black Wednesday 16th September 1992 and that is yet another story! *Trading was conducted by ‘open outcry’, where traders meet on the trading floor (in what is called ‘the pit’) to conduct trades. There were 26 ‘pits’ at the peak of Open Outcry at the LIFFE but the last three ‘pits’ closed in November 2000, when all LIFFE trading became entirely electronic.